The Institute for Occupational Safety and Health (IFA), an institute of the German Social Accident Insurance (DGUV), has a scientific and technical focus. Approximately 25% of its capacity is devoted to the fields of chemical, biological and physical environmental factors, accident prevention and product safety, work science and ergonomics. The Institute for Work and Health (IAG), an institute of the DGUV, devotes approximately 25% of its capacity to research in the fields of the social sciences, economics and education, occupational psychology, work organization, jurisprudence, and engineering. 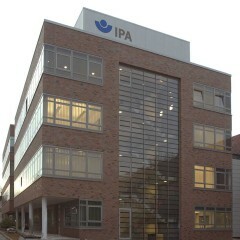 The Institute for Prevention and Occupational Medicine of the German Social Accident Insurance (IPA) is an institute of the Ruhr University in Bochum. Approximately 50% of its capacity is devoted to research in the fields of epidemiology, allergology/immunology, molecular biology, and pathophysiology/toxicology. The Institute for Research on Hazardous Substances (IGF) of the BG for the raw materials and chemical industry, located at the Ruhr University in Bochum, is active in the area of the safe handling of hazardous substances. The research institute on electricity-related accidents (IEU) of the BG responsible for the power, textiles, electrical industry and media production studies technical and medical aspects of electrical accidents. The Institute of Radiation Protection of the BGs responsible for the power, textiles, electrical engineering industry and media production and for the raw materials and chemical industry is concerned with safety issues related to ionizing radiation. The Centre for Safety Technology (ZS) of the BG responsible for the construction sector conducts research primarily in the area of personal protective equipment (in German). The mining rescue centre of the BG for the raw materials and chemical industry (HGRW-H) at Hohenpeissenberg conducts research in the areas of mine firefighting, rescue operations, and respiratory protective equipment. The Central Laboratory of the BG responsible for foodstuffs and catering conducts research in the areas of contact with hazardous substances, microbiology/plant hygiene, physics/technology (noise analyses, HVAC and particle metering technology), and fire and explosion protection. Through a research fund, the German Social Accident Insurance (DGUV) provides financing on a project-by-project basis for third-party research projects which cannot be conducted by the institutions of the DGUV. Only projects of a cross-sector nature are funded. In addition, individual social accident insurers launch and finance sector-specific research projects. Institutions supported financially by the DGUV exist for certain tasks. 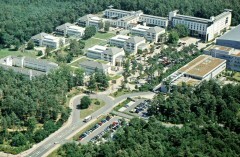 Even though research may not be the primary function of these institutions, they may nevertheless incur expenditure for research activity, as for example in the case of the German Road Safety Council (DVR), the Commission for Occupational Health and Safety and Standardization (KAN), the Initiative on Health and Work (IGA), and the Care Center Wismut (ZeBWis), which supports victims from uranium mining.